Fly it high and proud. 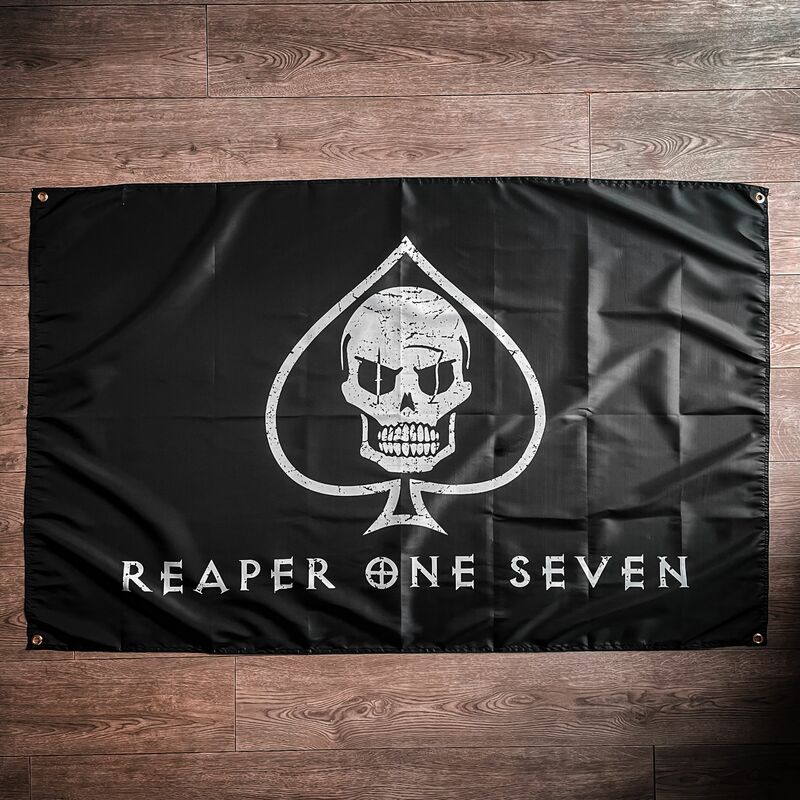 Our signature Reaper Flag is forged of only the highest quality flag material. Hang it in your gym, wear it as a cape, don it on your armoured fighting vehicle, the choice is yours. - Run by serving UK Forces Members. - Free UK delivery on orders over £75!